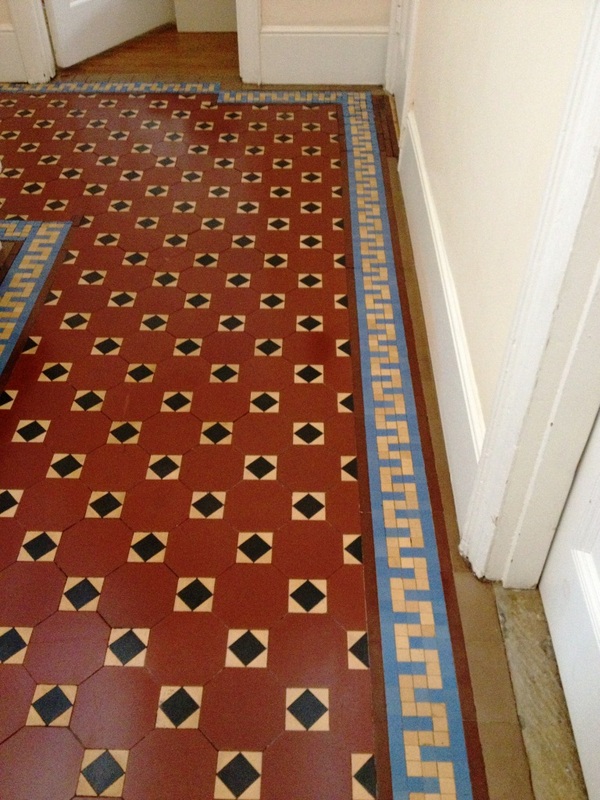 Details below of a Victorian tiled floor we did recently in in St Margaret’s, Shepperton. The floor had not been maintained for a while and was in need of a mechanical scrub clean and a new seal, building and renovations have been on-going for some time and so in some areas there was a lot of ground in dust and soil. We set about cleaning the floor using Tile Doctor Pro-Clean which was applied with a mop and left it to dwell on the floor for five minutes in order to give it chance to soak into the tile and get to work on the dirt. The solution was then worked into the floor with the use of a rotary scrubbing machine fitted with a scrubbing pad. The soiled residue was then vacuumed away and the floor was rinsed through, the process was then repeated until we were happy with the overall condition of the tiles. Due to moisture being held in the substrate we had to allow seven days for the floor to dry and tests were performed with a damp meter to ensure the floor was ready to accept a sealer. 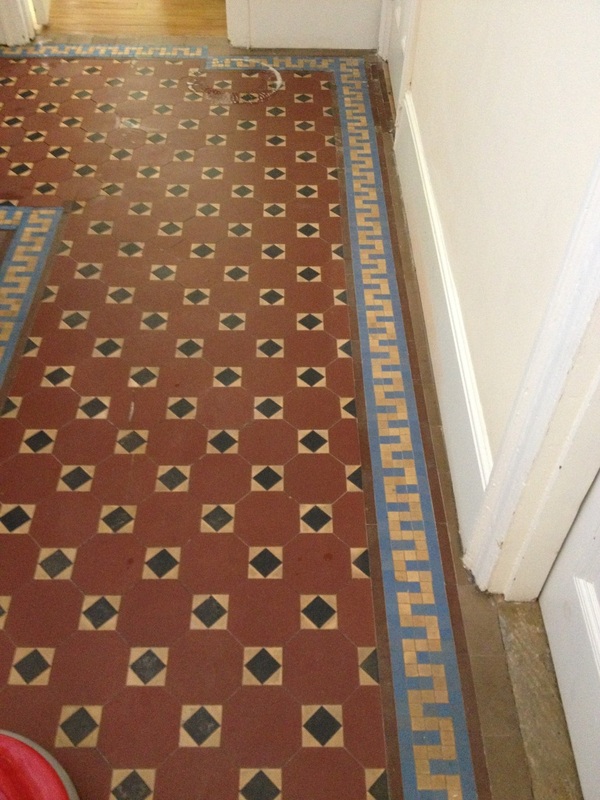 Four coats of Tile Doctor Seal and Go were then applied which is a recommended Sealer for Victorian Tile, offering good stain protection and adding a low sheen to the surface. Sealing the floor also makes cleaning it much easier going forward, it is however a slow process as you have to let each coat dry before applying the next. We can maintain all types of tile, stone and grout servicing the Twickenham and the surrounding areas so please get in touch for a free evaluation of your floor.